The Turkish saying, ‘Bir fincan kahvenin kırk yıl hatırı vardır (A cup coffee starts the friendship of 40 years)’ is verified by 3rd generation coffee lovers. 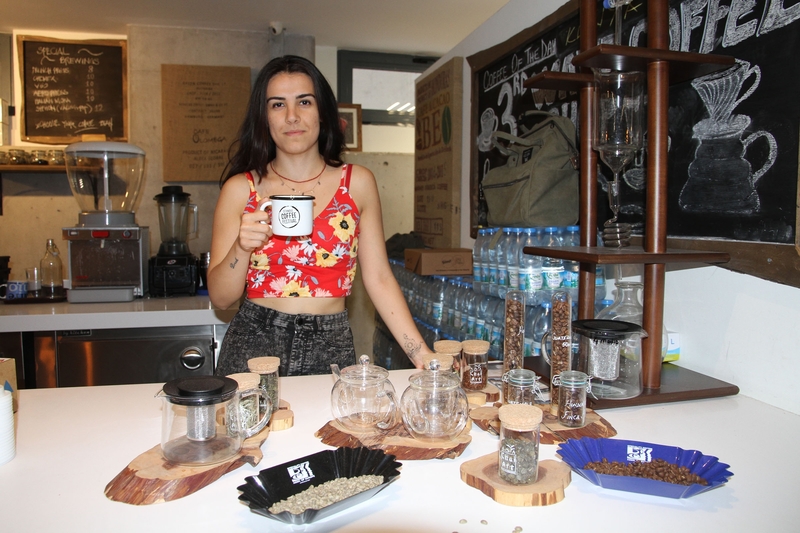 In her research on daily coffee consumption habits, Ekin Dorak, student at Department of Sociology, Faculty of Arts and Sciences, found out that 60% of the customers viewed 3rd generation coffee houses as a social atmosphere, and that more than one cup of coffee was consumed throughout the day. Dorak, who interviewed consumers and employees in coffee houses, found out about the effects of recently increasing numbers and types of coffee houses on life practice. Dorak stated that coffee was no longer a daily consumption practice, but rather a social necessity. “Turkish coffee culture and tradition, which goes back to the Ottoman period, turned into different consumption practice in time. And the 3rd generation coffee practice, a rapidly developing trend in the recent years, reached a remarkable point. The face-to-face interviews I held revealed that 60% of the customers consumed more than a cup of coffee throughout the day. 50% of the participants stated that they definitely consumed a cup of coffee a day. And more than 60% of the participants mentioned that they chose these locations due to their social environment,” said Dorak. Dorak reported that participants chose these locations for socialization purposes foremost, and the choice of coffee followed that, and she said that the participants definitely saw coffee as a physical and social necessity. Dorak said, “Individuals sharing a culture have common norms, habits and similar attitudes. At this point, I realized that 3rd generation coffee consumers also identified themselves within this culture and adjusted their identities to fit in the consumption practices of these locations. 3rd generation coffee houses are visited by the age group of 18-25 especially followed by the age group of 25-40. Young generation show more interest”.